All media representatives who registered successfully for the doorstep at Bratislava castle and for the delegations' arrival for a short tour at Danubiana Meulensteen Art Museum have received a confirmation e-mail. The capacity for the doorstep at Bratislava castle has been reached. We apologise to all the media representatives who registered after the capacity has been reached. 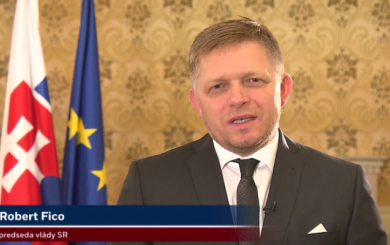 Livestream of the broadcast by the host broadcaster will be available on TV screens located in the press centre, as well as on the website of the Slovak Presidency. A limited number of floaters is still available for the delegations' arrival for a short tour at Danubiana Meulensteen Art Museum. All audio-visual media representatives who are interested in this media opportunity are kindly requested to apply at the infopoint in the press centre. Important: Due to traffic restrictions, access to the press centre by vehicles will be restricted on Friday, 16 September, from 8.00 to 9.45. These times are only indicative and may change depending on the delegations' programme.